Season one of Maniac just dropped today, but will there be a second? Director Cary Fukunaga recently spoke about the future of the Netflix TV show, Variety reports. The dark comedy stars Jonah Hill and Emma Stone as “two lost souls who search for connection when they are patients in a pharmaceutical trial.” The cast also includes Justin Theroux. What do you think? Have you started watching Maniac? Would you watch a second season? More about: Maniac, Maniac: canceled or renewed, Netflix TV shows: canceled or renewed? 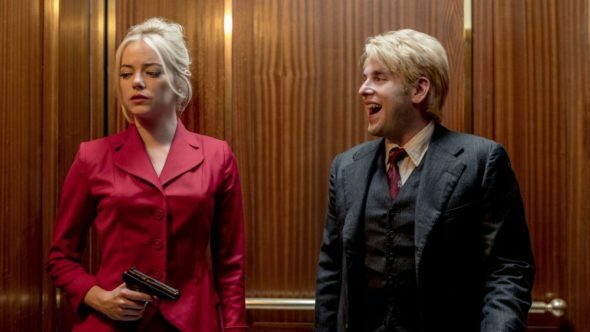 Maniac: Is the Netflix TV Series Cancelled or Renewed for Season Two? If this show was on broadcast television it would have be canceled after one episode and rightly so. I watched the first 3 episodes with a group of six people all with different taist and no we all haired it. Though thoughtfully only 2 of us stuck around for the 3rd episode. This show isn’t just bad it one of the worst shows I have seen in years. I would love to see a second season. Great show. I binge watched it the day it came out. I didn’t like the gore and the F word, but I loved the wittiness of the show.